Our organization holds expertise in offering a wide range of Bronze Casting, which is fabricated from quality raw material, which is procured from renowned vendors. We offer these castings in different shapes and sizes that find extensive application in numerous industries. 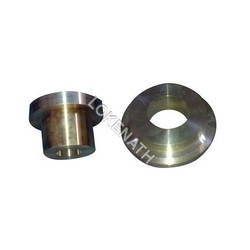 Bronze Castings are appreciated for corrosion resistant, abrasion resistant and leak proof features that form an important component of various machines. Further, our castings are also certified and tested for physical properties & chemical composition to deliver defect free products. We manufacture and export an extensive range of Bronze-Y Joint Castings, which cater to the demands of various industries owing to its high efficiency. These are made from high grade metals like copper, tin & phosphors to ensure flawlessness in the end product. Our range is acknowledged for their application specific design, easy installation and dimensional accuracy. Moreover, these castings can also be custom designed as per the need of the clients and can be deliver within a given time. We offer Aluminium Bronze Castings that is made with precision and attention to each and every detail so that the best can be supplied to the client. 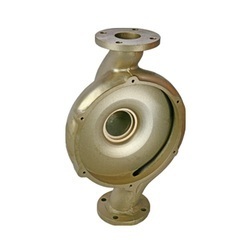 These castings are widely demanded in marine engineering, and in petroleum, oil and chemical industries. These castings are also easy to install and are made of premium quality aluminium and bronze. 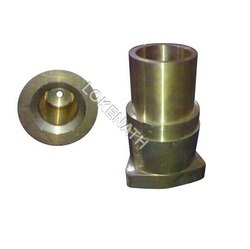 With the support our experience team, we are involved in offering a quality range of Bronze Casting Of Filter Body. Our range is used in various industrial as well as marine such as pressure tight bearings, bushes, pumps and pump fittings, valves and valve bodies. Besides, it also proved to be useful under corrosive marine conditions, gear and worm wheels, bearings for aero engines, diesel engines, electrical generators and rolling mills. The quality range of Manganese Bronze Castings offered by us is known for their durability, efficiency and corrosion resistant features. 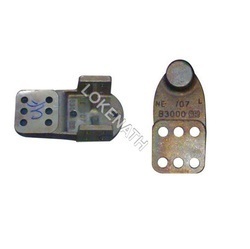 These are available in different weights ranging from 100 grams to 300 kgs (single piece) and other technical specifications as per the clients specific need. We ensure to fabricate our entire range using alloys that confirm to BSS LM series, DIN, ASTM and indian standards. The comprehensive range of Aluminium And Bronze Castings offered by us is manufactured in line with the latest technological advancements in the market. Our range includes standard bushings from sand & gravity castings, which is developed from quality raw material, to ensure efficient performance at users end. We offer our range in different sizes, weight and thickness as per the application requirements of our clients. 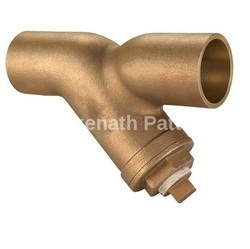 Capitalizing on our in-depth industry knowledge, we are engaged in offering a wide range of Leaded Bronze Castings. 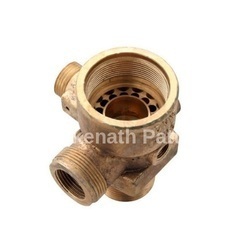 These are suitable to be used in valve fittings and pump castings. Further, our range also finds application in high speed and heavy pressure bearings in various industries. Looking for Bronze Casting ?